Back to School? Fall into a Cleaner Home! Between vacations, cookouts, graduation parties and holidays, the summer can be a busy time for many New England families. Summer can be an especially hectic time for families with college students and that are home for the summer. The house becomes more crowded, and thus, dirtier. It can be challenging for homeowners to maintain their property during this busy time. As such, when students head back to school, an opportunity to get your home in order is created. Once your son or daughter is all moved in and settled, consider taking some time to go through your home and identify which areas could use some touching up. It is no secret that college students are not the cleanest age group, so often times empty nesters find themselves picking up the pieces once their son and/or daughter is gone. Start with the areas or rooms in which you and your family spend the most amount of time. Living rooms, bedrooms, and bathrooms often need the most attention. If your carpet, area rug or oriental rug looks like it has seen better days, consider hiring one of our professionals to give it a thorough cleaning. Similarly, bathroom tiles and grout seem to become dirtier and stained when the house is full. In addition to carpet, area rug and oriental rug cleaning, we can also clean your tile and grout. The fall is a great time to also tackle that mold in the basement or attic that you’ve been neglecting until the right time. Now that your students are out of the house, give us a call to remove any and all mold from your home. Untreated mold can cause recurring health issues for you and your family, while also damaging the foundation of your home. Don’t delay those home improvement projects any longer! 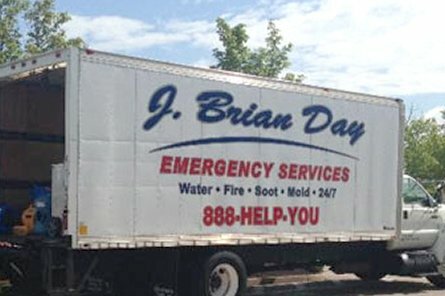 Now that the kids are out of the house, give J. Brian Day a call to get your home back to normal!